What To Expect On The Day Of Treatment Depending on the size of the area being treated, sessions typically take less than 30 minutes. First, you will be provided eye shields to protect yourself from the laser during treatment. The treatment will begin with the provider guiding the Icon™ handpiece over the treatment area. 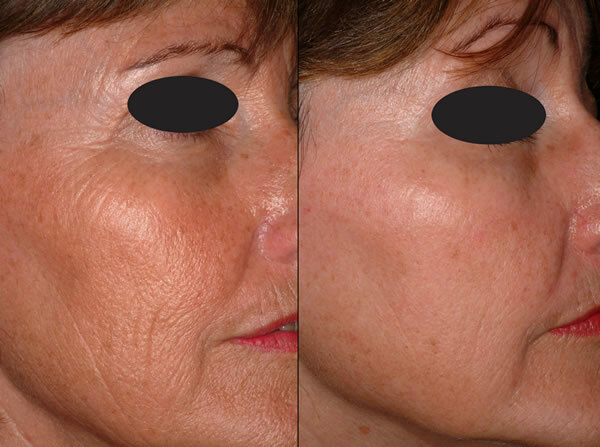 During this, the laser will be delivering energy into your skin. Depending on the care option we select, you may feel nothing during treatment or mild discomfort. Post treatment instructions will be provided to manage pain if necessary. You may also experience some redness and/or swelling a few days after at the treatment site but this typically resolves by the third day. Follow up treatment sessions should be scheduled 3-6 weeks apart if needed. · Remove all make-up and lotions at treatment site prior to the treatment. · At least 4 weeks prior to your appointment, discontinue unprotected sun exposure, tanning beds and tanning creams on the areas receiving treatment. · Immediately after the treatment, redness, swelling and/or brown debris at surface of the skin is common and typically lasts 2-24 hours but could last up to 3- 5 days in some cases. · Gentle cleansing and use of non-irritating cosmetics are permitted after treatment. · Avoid sun exposure on the treated area and use a sunscreen SPF 45 or greater at all times throughout the course of treatment. What types of stretch marks can be treated? Icon™ is designed to treat stretch marks caused by pregnancy, weight gain and body changes due to puberty. What does the treatment feel like? Most people feel mild discomfort during the treatment but speak to your provider regarding pain management options. How many treatments will I need? Depending on the condition being treated 1-3 treatment sessions are recommended for skin renewal and 3-5+ sessions are recommended for stretch marks and scars. How much does the treatment cost? Treatment costs vary depending on the size of the area and condition being treated. You may also be interested in the following procedures Restylane, chemical peel, Thermage or Latisse.